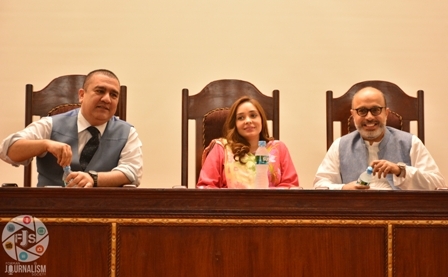 Team FJS invited renowned TV hosts Juggun Kazim, Noor ul Hassan and Haseeb Khan on 31October 2016, for an interactive session with the students. 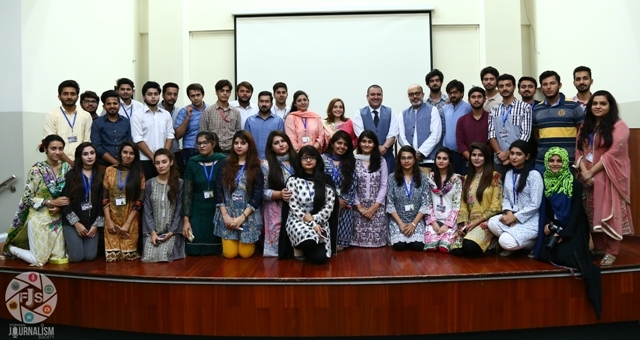 The event was a continuation of the successful J-Talks series. The event was graced with the presence of FCCU’s faculty members. Being maestros of hosting, the guests were asked multiple questions by the students to which they promptly answered. After the event, Head of Mass Communication Department, Ms Rachel Aruna Hassan presented souvenirs to the guests as a token of gratitude on behalf of FJS. The guests were entertained with refreshments in the business lounge.